Zoinks! 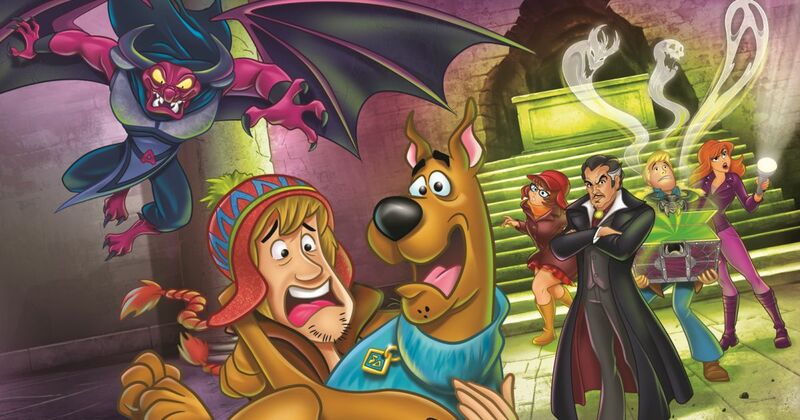 Scooby Doo is back in an all new animated adventure! 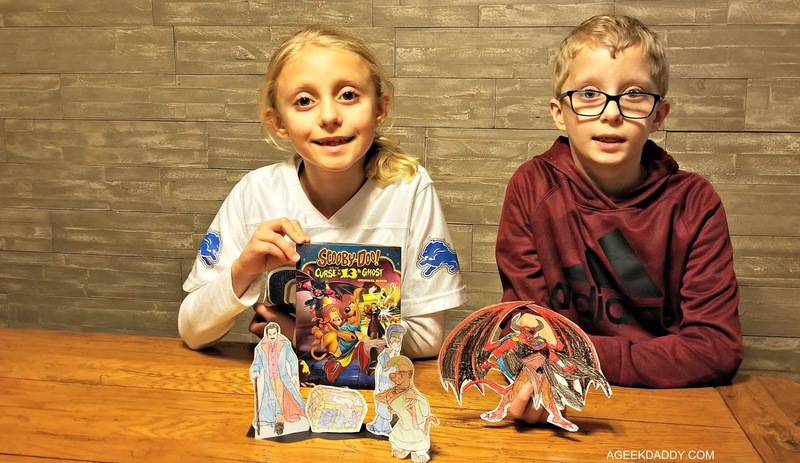 We had a night of family fun making finger puppets of Scooby Dooby Doo and some of the characters from the Warner Bros. Animation movie SCOOBY-DOO! AND THE CURSE OF THE 13TH GHOST. After playing around with the finger puppets, we enjoyed watching this movie which is now available on DVD and Digital to add to your home entertainment video library. This movie concludes the story from the 1985 cartoon series The 13 Ghosts of Scooby-Doo which originally ran for one season on ABC and can occasionally be seen rerun on the Boomerang, Cartoon Network and USA Network cable television channels. In this television series, Scooby and Shaggy accidentally release thirteen ghosts trapped within an ancient chest. The loveable Great Dane and his friends embark on adventures to capture these ghosts but only catch up with twelve of them before the series was cancelled. Scooby-Doo and the Curse of the 13th Ghost begins with Mystery Inc. being disbanded after they goofed up by nabbing an innocent man and they are forced into early retirement from crime solving. Just when you think haunted hijinks are behind them, the gang is contacted by their old friend Vincent Van Ghoul (who was a featured character voiced by the Master of Menace Vincent Price in The 13 Ghosts of Scooby Doo) who pulls them back into action. They have unfinished business to tend to which involves catching a ghost that previously got away from them. Now that elusive spook is wreaking havoc! Mystery Inc. needs to get back into business to confine this troublesome pest to the chest of demons, which contains the other 12 ghosts captured by these meddling kids. Before they can hunt down the 13th ghost though, Scooby Doo, Shaggy, Velma, Daphne and Fred need to find the chest which is now located somewhere in the remote Himalayas. Determined to help Vincent, they set out to find the chest of demons. This leads them to the icy slopes of the Himalayas where they are involved the action packed adventures and comedic moments that Scooby-Doo cartoons are known for. 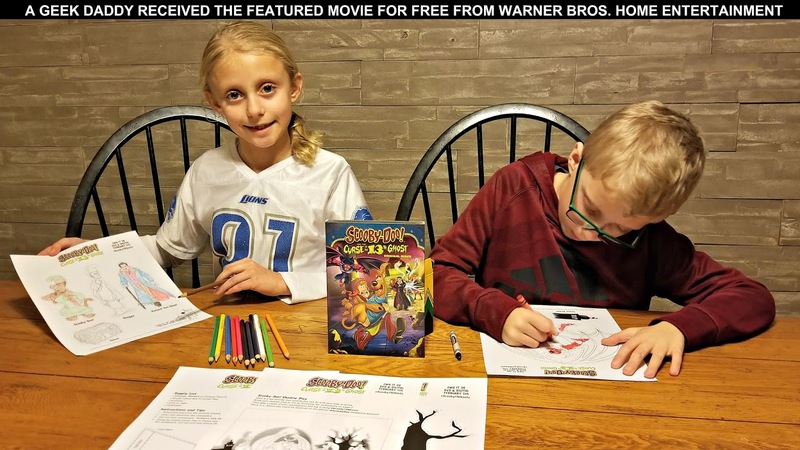 Chilling car chases, crystal balls, spine-tingling magical spells, and terror-ific ghosts and monsters make SCOOBY-DOO AND THE CURSE OF THE 13TH GHOST spook-tacular to see for a family movie night. Jeepers! Act out your own Scooby-Doo adventures with these downloadable finger puppets and shadow box decorations courtesy of Warner Bros. Home Entertainment. 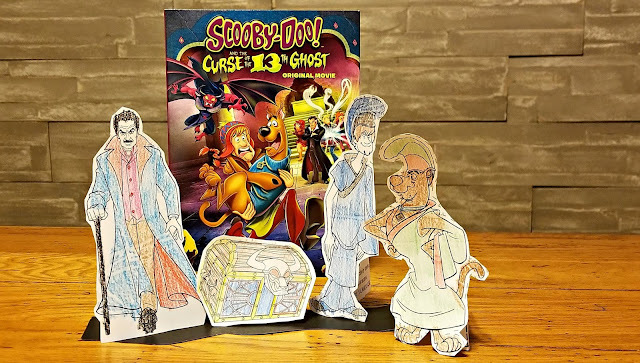 Take some photos of your shadow box theatre play and post on Instagram using the hash tag #Scooby13Ghosts. There is a chance your shadow play could be featured on the official @ScoobyDoo Instagram account. 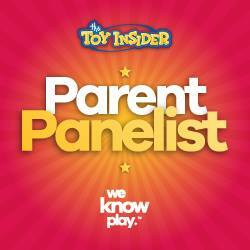 In addition to Warner Bros Home Entertainment providing ageekdaddy.com with a DVD of SCOOBY-DOO! CURSE OF THE 13th GHOST to enjoy, they also are having us host a movie giveaway. One lucky winner will also be sent a DVD to have their own family movie night. For a chance to win this original movie on DVD complete the entries in the form below before Friday, February 15, 2019 at 11:59 pm. Must be a United States or Canadian resident over 18 years old to participate in this giveaway promotion. Jinkeys! My kids had a great time playing with these Scooby-Doo finger puppets and watching the movie. Growing up myself watching Scooby-Doo cartoons, I really enjoyed this new original movie myself as well. Your family is sure to have a spooky good time picking SCOOBY-DOO! CURSE OF THE 13th GHOST to view on DVD or Digital for a movie night at home. Warner Bros. Home Entertainment provided me with a free copy of the DVD I reviewed in this blog post plus will be shipping one to my giveaway winner. The opinions I share are my own. I don't have kids but I still love a good Scooby-Doo cartoon! Add in the Vincent Price character and you have me hooked haha. Hands up I love Scooby Doo! It is definitely one of those childhood programmes that I love to watch. It is great they are still making it as well, this sounds like a fun DVD! I loved Scooby Doo when I was a kid! The Curse of the 13th Ghost sounds like an awesome mystery cartoon, in line with their classics. Oh my kids love Scooby Doo too! This looks like a great DVD, I think my children will really enjoy to watch it too! I remember watching Scooby Doo when I was a kid. It's so fun that the franchise is still around and I can now enjoy it with my nieces! I'm a huge fan of Scooby Doo! It brings back so many memories. This looks like a great DVD. I've watched a lot of Scooby Doo episodes before. I am sure this one is fun as well. Love the game idea! Scooby-Doo was one of my favorite cartoons as a kid. I'm so happy that it is still popular with today's youth. My kids love Scooby Doo and I'm sure they would love this DVD. This would be fun for a family movie night. 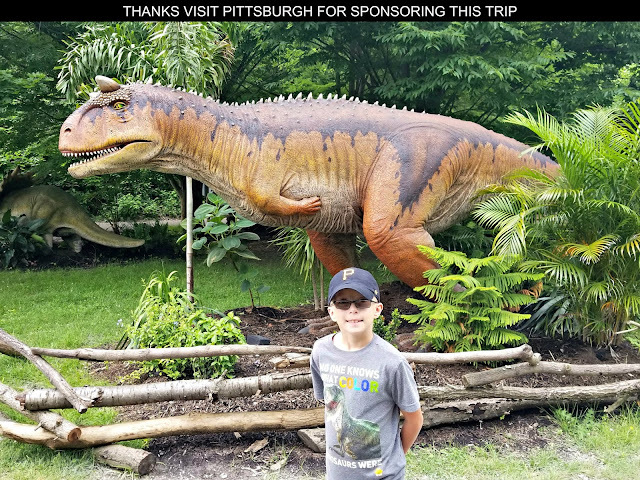 This is a great prize! My kids have all been obsessed with Scooby Doo. Looks good! My kids love Scooby Doo :) My daughter was Daphne for Halloween last year because she'd just seen the Daphne & Velma movie.